We have the inventory and expertise to envision, select and install the pieces to make your commercial space unique and inviting. When the Paul Hemmer Companies was completing the Anderson Professional Building located in a one of the fastest growing suburbs of Cincinnati, Ohio, they turned to The Art Company for guidance. 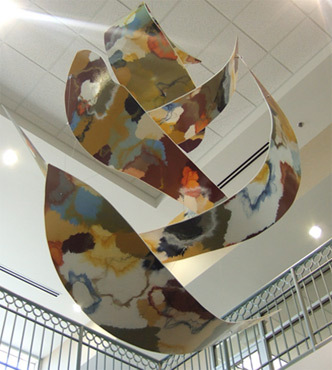 A suspended sculpture graces the two-story atrium and is a source of enjoyment for all who visit the many offices surrounding the lobby. Developed by Paul Hemmer Companies, Jewish Hospital’s state-of-the art two-story medical office building is located in Mason, Ohio, a northern suburb of Cincinnati. 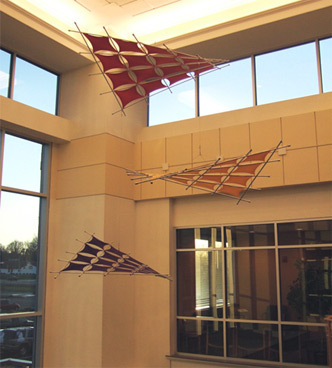 The Art Company worked with an Atlanta-based artist whose inspired suspended sculpture welcomes patients and visitors. The Art Company provided Neyer Properties’ Keystone a collection of original art to enhance the building’s décor and green impact. 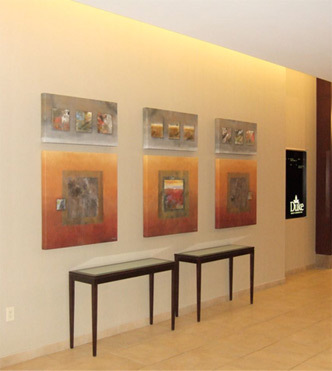 Abstracted landscape and mixed media paintings reflect the greenspace design theme while creating a professional, welcoming ambiance to tenants and visitors. 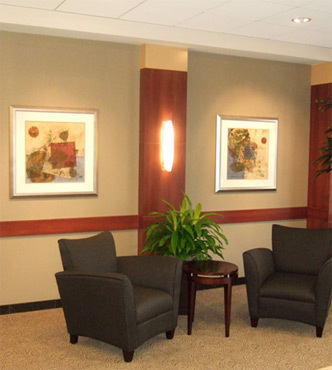 Canvas giclées create a welcoming, professional environment for all tenants and visitors at Duke Realty Corporation’s Landings in Cincinnati suburb Blue Ash. Copyright © 2010 The Art Company. All rights reserved.